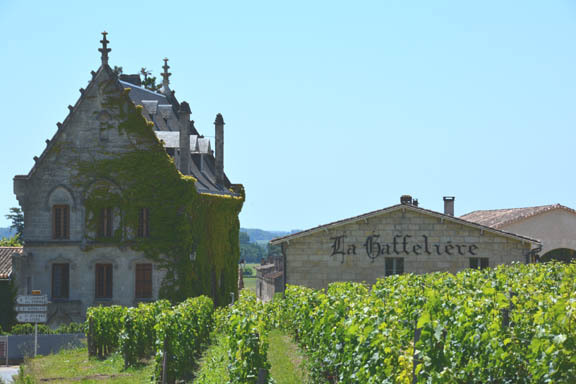 Is Bordeaux 2012 the Restaurant Vintage of the Century? “Lovely restaurant wine” is the phrase that appears most often in my tasting notes from today’s UGCB tasting in London of the 2012 vintage. Although there were no wines that seem to have the longevity I would require to buy for my cellar, there are many wines that I expect to enjoy drinking three to ten years from now. There are clearly significant differences between the appellations, but I do not entirely agree with the view of the vintage that was expressed at the en primeur tastings. Now that the wines are out of barrique and into bottle, it’s evident that it is too simple just to characterize this as a year when Merlot was more successful than Cabernet, although clearly the vintage has been shaped by the fact that there were heavy rains in the Médoc in late September, and October was generally wet. This made it much easier to get ripe Merlot than Cabernet. Notwithstanding the difficulty with Cabernet, the only appellation in which I get any sense of the overt herbaceousness that used to characterize Bordeaux is Moulis-Listrac, where the wines are light but the best have enough potential flavor interest to suggest an elegant future. However, I have to admit that I do not mind a faint herbaceous edge, although not everyone will like it. Chasse-Spleen stands out for me as the best wine, elegant and taut. Not surprisingly considering its size, Margaux is the most heterogeneous appellation. Wines range from showing noticeable tannins to having relatively soft palates, but all are distinctly light weight. The key for the short term is the character of the tannins, and the question for the mid term is how the fruits will show as the tannins resolve. In the best cases, the wines will be light and elegant in the feminine tradition of Margaux. I especially like Rauzan-Gassies for its appealing liveliness, with nicely ripe tannins. Just to the south, the glossy sheen of La Lagune gives an elegant impression that is more Margaux-like than usual. At the Cru Bourgeois level, I liked Labegorce, as much St. Julien in its precision as Margaux in its elegant femininity. Some wines may simply not have enough stuffing to withstand the loss of the initial burst of primary fruit, although in the immediate future the soft, furry palates may be quite appealing. The potential problem is that a sense of dilution may turn hollow on the mid palate. With its compact size, St. Julien is much more homogenous and many wines make a fragrant, almost perfumed, first impression, with a classical sense of precision to the following fruits. Tannins seem riper and in better balance with the fruits than in Margaux. These will be perfect restaurant wines (if the price is right). Gruaud Larose stands out for its fragrant elegance, with tannins already integrating into an elegant palate. Beychevelle makes an impression of classic precision. Pauillac seems less uniformly successful to me. There’s a more solid impression to the fruits and tannins. I would never use the word rustic in conjunction with Pauillac, but at this stage there is a certain robust impression, which will translate into solid fruits, but without the fragrant uplift that characterizes St Julien. Pichon Baron stands out for showing its usual power with ripe tannins and a fragrance that is unusual for the year. I also very much like Grand Puy Lacoste, which shows as a something of a half way house between Pauillac and St Julien, taut, smooth, and elegant. It is difficult to assess St. Estèphe from this tasting as the top wines were absent, but the wines generally show a tight character with hints of the hardness you sometimes see in this appellation. As the tannins resolve, the wines should be light but relatively elegant. It is quite successful at the Cru Bourgeois level, and I especially like the light elegance of Phélan Ségur. You would expect Pessac-Léognan to do better than the Médoc given its higher content of Merlot, and the best wines have smooth black fruit palates (smoothness is the mark of the appellation in this vintage) with nicely tamed tannins, sometimes showing a touch of the classic cigar box, but too many just seem soft without sufficient supporting structure. Smith Haut Lafitte stands out for the depth of its fruits, and Domaine de Chevalier for its sense of elegant liveliness, with a tension that is unusual in this vintage. Over to the right back, where St. Emilion is a bit of a conundrum, Canon just edges out Canon La Gaffelière as the wine that best exhibits a classic sense of smooth opulence. Other wines seem to be moving in a more savory direction, almost pointing towards the Médoc, such as La Gaffelière and Clos Fourtet, but Troplong Mondot is the standout in the savory direction. Many seem round and soft but without much stuffing. 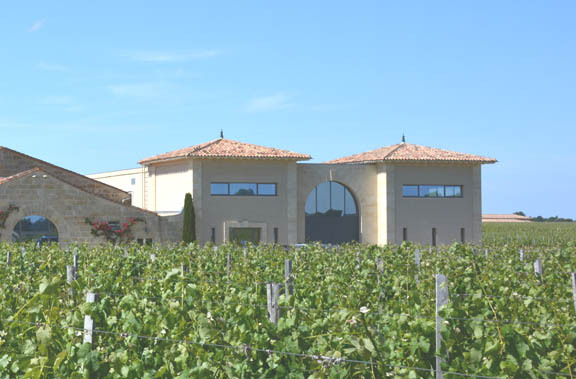 Pomerol shows an unusual sense of structure, with some wines displaying faint herbal overtones on opening. The ripe black fruits of Beauregard just edge out Bon Pasteur, which however is more structured than opulent, in contrast to Michel Rolland’s reputation for overt lushness. As always, La Conseillante is nicely balanced, with nothing to excess, and more underlying structure than is immediately apparent. Sometimes Pomerol is too opulent for me, but not this year. Now that they are bottled, the whites do not seem as impressive as reports from en primeur suggested they would be. The standout for me is Domaine de Chevalier, with a beautiful balance between grassy impressions of Sauvignon on the nose and waxy impressions of fat Sémillon on the palate. This is very fine indeed, with classic elegance. Some of the wines I usually like seem to be showing a crowd-pleasing softness, quite attractive in a Burgundian sort of way, but with insufficient freshness to last. This is not a year for Sauternes, but two wines stand out. Coutet is classically botrytized, rich and deep, and totally delicious. Climens is much lighter, really elegant and fresh, and with a beautifully balanced flavor spectrum: it may not be so long nived, but it is lovely now. The range for me runs from wines I would enjoy in a restaurant from, say, a year or so from now, to those that I would hold for three or four years before starting. The best will offer a classic representation of their appellation in a relatively lighter style; few will be really interesting more than a decade from now. I just hope that, after the restaurant markups, they will seem as appealing economically as gustatorially.